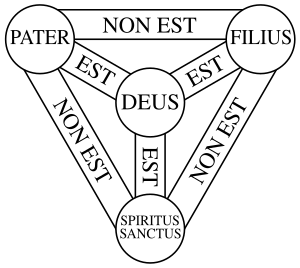 The ultimate model of love exists among the three Persons comprising the Godhead — God the Father, God the Son, and God the Holy Spirit -who are three in one and one in three and perfect in mutual love. “All love,” asserts Kelly Kapic, “is but a reflection or shadow of intratrinitarian love.”There has eternally existed a dynamic social relationship between Father, Son, and Holy Spirit characterized by love (John 17:24). And we have been called to share in this holy community of love (John 17:26;14:21;15:9-10). John’s magisterial proclamation that “God is love” actually supports his main appeal to love one another: “Love is from God, and whoever loves has been born of God and knows God. Anyone who does not love does not know God, because God is love” (1 John 4:7-8). So not to love one another in the family of God is an egregious sin. Strauch, Alexander (2011-03-11). Love or Die: Christ’s Wake-up Call to the Church (Kindle Locations 189-196). . Kindle Edition.